→You expect your local Cajun joint to have good gumbo. And Knotty Pine on the Bayou in Cold Spring does. It’s dark and smoky, with chunks of sausage and chicken, thickened with okra, and studded with celery, peppers, and onion. 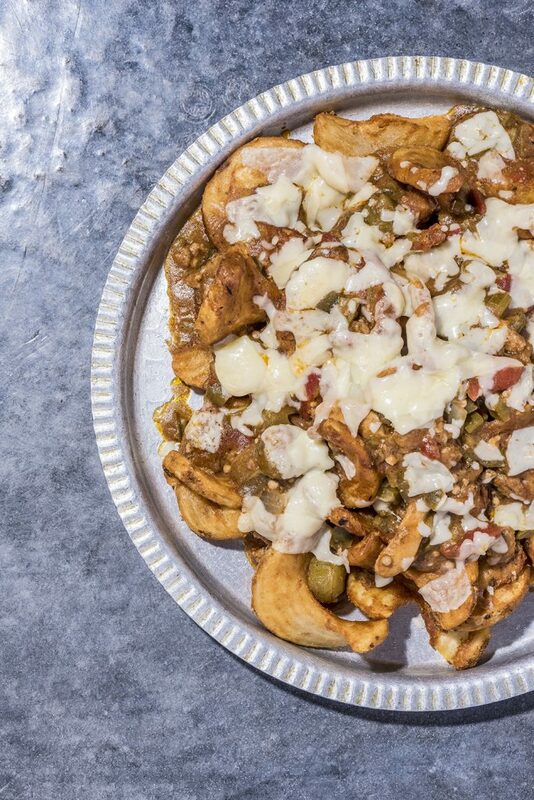 Traditionally, it’s served over rice, and you can get it that way if you’re a purist (in a cup, small bowl, or large bowl), but tradition is meant to be toyed with, so get the gumbo fries. And what fries these are: They’re Sidewinders, a trademarked style that’s sort of a cross between a curly fry and a potato wedge. The hefty, substantial slices are what make the dish work—lesser tubers would wilt under the weight of the gumbo and turn to mush. With this much surface area, the fries become an efficient delivery system, and the whole pile (served on a platter!) is covered with a dusting of Parmesan-Romano cheese that’s been melted under the broiler. Paul Prudhomme might’ve rolled his eyes, but we bet he’d have ordered seconds.